Widow of athlete killed in 1972 Munich massacre infuriated after Jeremy Corbyn vists grave of her husband's killers. The widow of one of the 11 Israeli athletes murdered at the 1972 Munich Olympics blasted Labour leader Jeremy Corbyn after the Daily Mail published pictures of the Labour leader holding a wreath near the graves of some of the terrorists who were responsible for the massacre. Ilana Romano, whose husband Yosef was killed during the 1972 games, said that "we are talking about a despicable anti-Semite that peddles hate." "We are living in a democratic world, but there is a limit to this. It is simply absurd - an act that is neither forgiven nor unforgivable," Romano added during an interview with Israel Hayom. On the personal level, she added, "The poor voters and British citizens who need to contain such anti-Semitism, I hope that they will be denounced because if not, we will go into chaos." On Monday, Corbin was exposed laying a wreath on the grave of PLO intelligence officer Atef Basiso, who planned the deadly massacre. Corbyn was also standing next to the graves of the PLO's security officer, Hail Abd al-Hamid, the founder of Black September, Salah Khalaf and his senior advisor, Fakhri al-Omari. The incident is the latest in a series of controversies that have plagued Labour and Corbyn over the anti-Semitism in the party. Over the last several years, dozens of Labour members have been suspended over their anti-Semitic statements. Corbyn himself has been accused of holding anti-Semitic views by senior UK Jewish leaders. Corbyn has also been criticized for calling Hamas and Hezbollah his "friends" and for outright refusing to condemn those two terrorist organizations despite being urged to do so by local Jewish groups. Most recently, the party was criticized over its refusal to adopt in full the definition of anti-Semitism by the International Holocaust Remembrance Alliance. 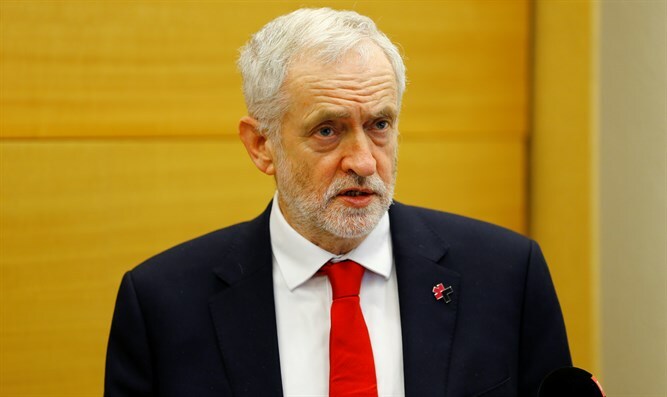 Corbyn recently published an op-ed in The Guardian, in which he acknowledged that the party has “a real problem” when it comes to anti-Semitism, but strongly rejected the idea that it poses any threat to the British Jewish community.